Home builders need to keep a sharp eye on homebuyer preferences to make sure what they are offering matches what people want. Now that we’re halfway through 2018, real estate industry insiders are making predictions on what to expect in home trends for the rest of the year. While open floor plans continue to be the preferred layout for homes, buyers are also anticipated to focus more on smart home features and green features this year, according to the 2018 Single-family Home Trends Report from Fixr.com, a site that provides information about home improvement projects and costs. Fixr’s survey of industry professionals found that 25 percent say homebuyers are looking for smart home features and 14 percent say they are looking for more eco-friendly features. Some of the report’s findings are not surprising: 76 percent of industry professionals say the most popular floor plan in 2018 is still an Open Floor Plan. However, there’s a slight chance that builders are overdoing open floor plans: more than 50 percent of builders say they are building homes with open floor plans, but only 34 percent of buyers are searching for a house using "open floor plan" as a keyword. A possible explanation for the lower search level is "noise". Some home owners have found that while they love the look of an open floor plan, noise from one area – like watching a movie or carrying on a load conversation – easily flows through the whole house. Among the design themes that builders say they plan to adopt this year, 50 percent of builders say they will offer smart home designs. Another 21 percent say they will offer green homes and 18 percent say they will offer energy-efficient homes. For an interesting look at what Toll Brothers is doing with smart home options, click here Smart Homes. Homebuyers looking to save money on energy costs are most likely to invest in Energy Star-rated appliances (42 percent of builders say these will be the most requested) and home automation (37 percent). Only 16 percent say they plan to invest in renewable energy and just five percent want a water-saving toilet. Smart home features are no longer just a perk for buyers with big budgets. Tech improvements make them accessible to homeowners and buyers. 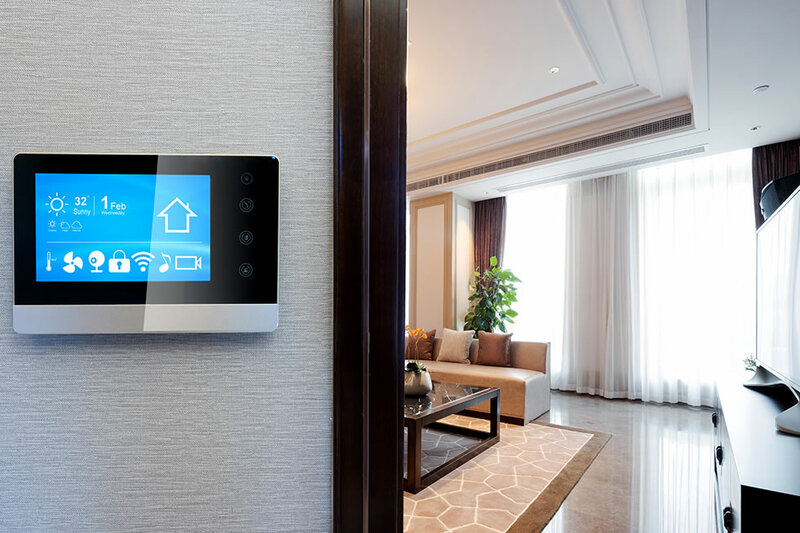 Among the most popular smart home features this year are smart thermostats and HVAC systems (53 percent of builders say these will be the most requested), home automation security (24 percent), lighting control systems (16 percent) and smart appliances (five percent). This video from Alarm.com illustrates many of the smart home options available today. Natural disasters unfortunately dominated much of the news in 2017, leading some homeowners to consider special safety features in their new homes or as part of a home improvement project. Every $1 spent on mitigation measures ahead of a disaster saves $4 down the road, according to the National Institute of Building Sciences, so this makes these investments particularly valuable. By far the most popular choice is a back-up generator, which 50 percent of builders say will be the most requested this year. Other safety features include fire sprinklers and alarms (26 percent), insulation (16 percent), hurricane and storm shutters (five percent) and a sump pump (three percent).